Wouldn’t you know that even the Nathan’s Hot Dog eating contest held every year on the Fourth of July on New York’s Coney Island has an Irish connection? Legend has it that on July 4, 1916 Irish immigrant James Mullan consumed 13 hot dogs in 12 minutes during a hot dog eating competition. The contest was set up by hot dog stand owner Nathan Handwerker when he witnessed four immigrant men arguing over who was the most American of the group. How do you prove your American-ness? Naturally, eat the most hot dogs in a single sitting! At least this was Nathans’s solution – he didn’t want the disagreement to turn into a brawl and if they were busy eating hot dogs, they couldn’t fight. Nathan was a genius. His effort at conflict resolution turned into one of the best marketing gimmicks ever. The contest is still going strong, nearly one-hundred years later. Read the full story here. In case you are wondering, Joey Chesnut won last year’s contest – 62 hot dogs in ten minutes. Only in America? Thankfully we don’t need to gorge ourselves with hot dogs to prove our patriotism or to celebrate the Fourth of July. The McCormack family has typically taken a low-key approach to the holiday – usually just fireworks by the Mississippi and burgers on the grill – nothing too extravagant. I think that is why I am so impressed by the Fourth of July festivities planned by the folks in Wexford and Limerick this year. Wexford’s Irish America Day features a parade, Mark Twain readings, a performance by comedian Des Bishop, American-style BBQ, fireworks, and much, much more. The Prom Night being held July 2nd at the Brandon House Hotel and Spa is especially creative. They are even crowning an Prom King and Prom Queen. This is a trip down memory lane for anyone who attended high school in the USA. There will also be the posthumous induction of Liam Clancy to the Irish American Hall of Fame at the Dunbrody Emigration Centre on Wednesday. Visit the Irish America Day website for the full schedule of events! 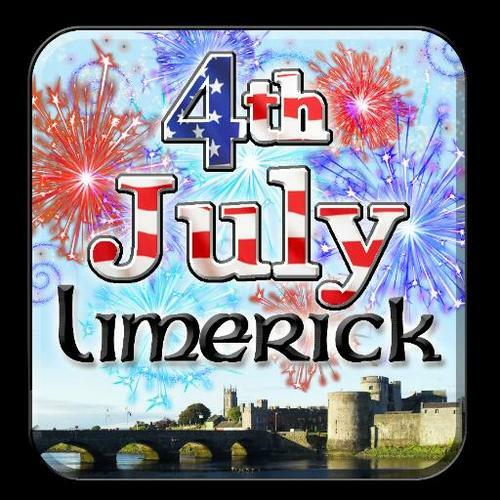 It is the inaugural year for the 4th of July Limerick celebration as well. Limerick has an entire slate of events stretching out to the weekend following the Fourth (I know a lot of Americans who are also stretching the holiday out!) A couple of the events that look particularly interesting are the Hip Hop Festival (all weekend) and the Cookie Making demonstration on Saturday. It looks like Dolan’s is the place to be for music with Brian McCann singing Billy Joel favorites on Wednesday, the Hot 8 Brass Band on Thursday, and the Last Waltz Tribute on Saturday. Limerick restaurants, bars, hotels, and retailers will also run special offers through the weekend. Don’t forget the Treasure Hunt on Sunday. I had a sneak peek at the questions and it is a fantastic hunt! To top it all off, there will be fireworks over the Shannon on Sunday night. Click here for the complete list of events. I suspect there will be plenty of oooohs and aaaahs in both Wexford and Limerick over the Fourth of July. If you are an American in Ireland, how fun to experience the Irish take on the American holiday. And if you are Irish, try to make it to either Wexford or Limerick next week to experience something a little different. 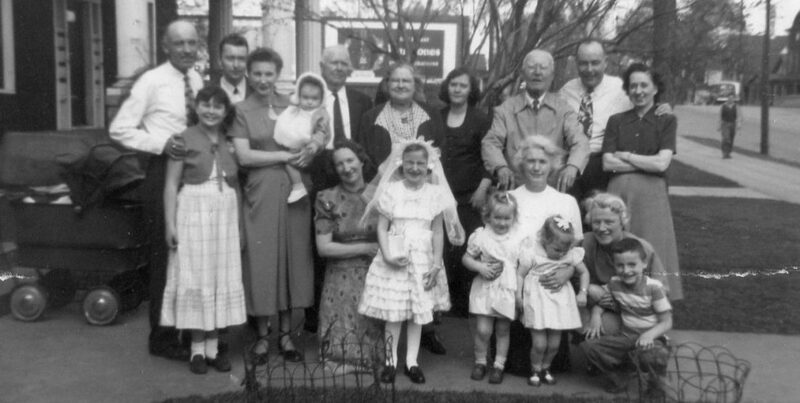 The Fourth of July is the perfect time to think about your family and friends who have emigrated over the years and became Americans themselves. Plus, who doesn’t like to celebrate gaining independence from the British? Where ever you are this Fourth of July, I hope you have a wonderful time. Enjoy! Categories: Fourth of July | Tags: BBQ, celebration, Coney Island, fireworks, Irish America Day, Irish Americans, Limerick, Mark Twain, Nathan's, prom, Wexford | Permalink. Interesting story about the Nathan hot dog stand. I dont think we will see too many recent immigrants having those arguments anymore. They no longer seem to want to integrate into America…just live here. Thanks for the comment, Theresa. Times have changed over the past one hundred years!